Located amid the green islands of the Washington coast and the majestic peak of Mt. Baker, Bellingham is a cozy community shared by about 82,000 people. 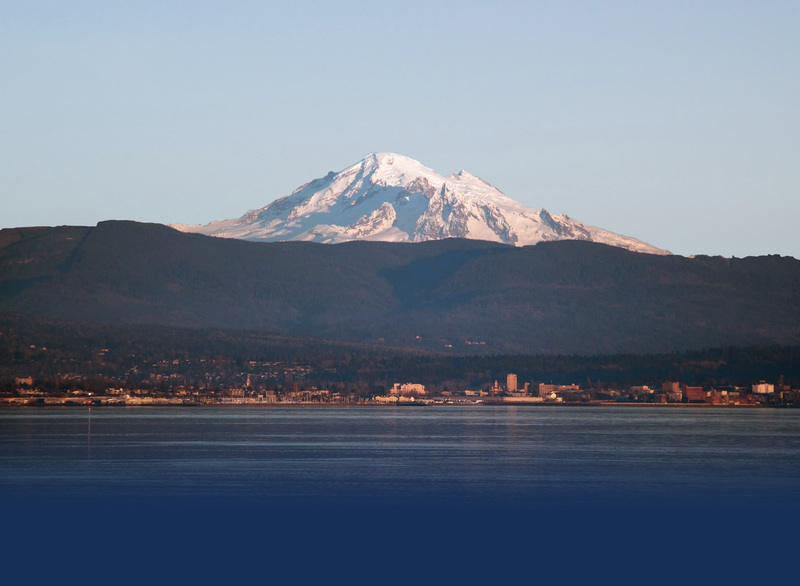 Life in Bellingham means access to the mountains and the sea providing a plethora of outdoor activities including downhill and cross-country skiing, snow-shoeing, mountain biking, hiking, mountain climbing, kayaking, canoeing, scuba diving, fishing, boating, and wildlife viewing. The area offers something for everyone! For those looking for culture, Bellingham will not disappoint. A combination of nationally touring and locally produced museum exhibits, gallery tours, theater productions and symphony performances provide an active and diverse calendar of events throughout the year. Bellingham’s cultural arts district is packed with venues for all interests. Rain or shine, the sidewalks of downtown Bellingham fill with pedestrians on the first Friday of every month for the Downtown Art Walk, featuring the high quality of artists and remarkable variety of venues present in the city’s Cultural Arts District. From 6 to 10 p.m. galleries, boutiques, restaurants, studios and more keep their doors open to showcase a wide array of artwork by local and renowned visiting artists. 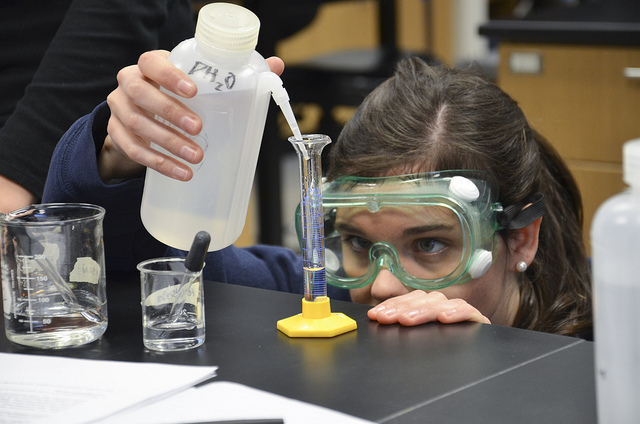 Whatcom County offers a highly educated workforce due in-part to the number of higher education institutions in the area. They include Western Washington University, Whatcom Community College, Bellingham Technical College, Trinity Western University, Charter College and the Northwest Indian College. Bellingham is a leader when it comes to business opportunities in the state of Washington. Importers and exporters benefit from the Bellingham International Airport, shipping, railroad and trucking up and down the I-5 corridor. International distribution looms large in Bellingham’s economic infrastructure. The county itself boasts diverse manufacturing industries including food manufacturing, wood products, and aerospace equipment. Petroleum and coal product manufacturing are also large industries in the county. The proximity to the Canadian border has a strong affect on the local economy. Large local retailers see up to 50% of their shoppers from British Columbia. When the Canadian dollar is strong, it creates demand for Canadian shoppers seeking retail bargains and real estate in Whatcom County. The commodities that are in highest demand among our neighbors to the north are gasoline and milk. 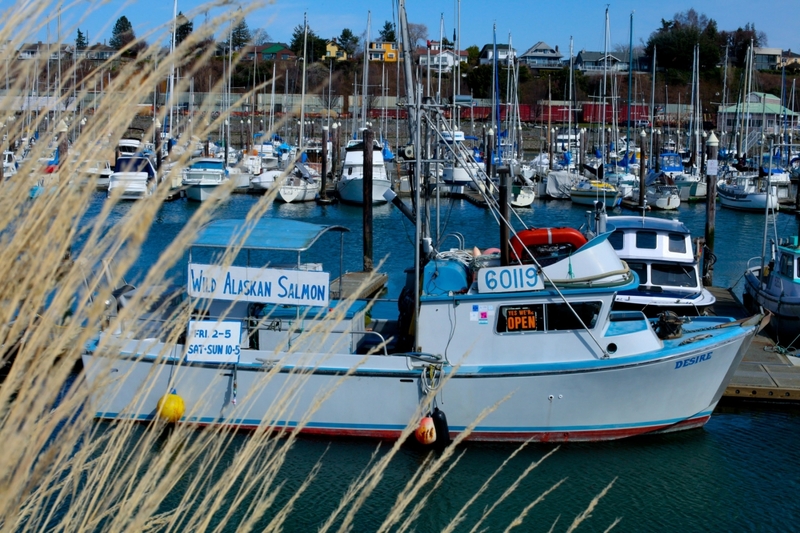 You can buy fresh seafood right off the boat in Bellingham Harbor. “What’s for Dinner,” Liza Aleksandra. 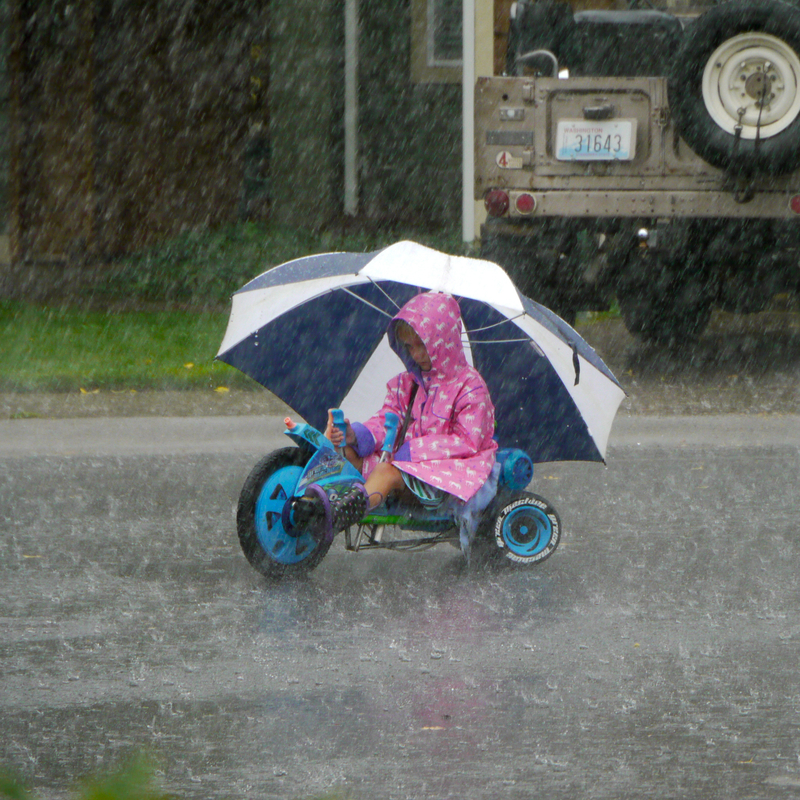 Photo provided by the City of Bellingham. Buying local, eating local and supporting local businesses is an essential mindset when it comes to Bellingham culture. Bellingham has firmly embraced all things farmed, fished, and foraged in locally, which offers amazing diversity, from seafood to beef, to berries, and veggies. This attitude makes the Bellingham Farmers Market and the various other farmers markets and u-pick farms popular with locals and tourists alike. You can even buy fresh fish right off the boat! Local grocery chain Haggen’s motto is “Northwest Fresh” in keeping with the buying & eating local mantra. Our local grocery stores are cognizant of that attitude and stock up on locally grown food and food products. They are also in tune with the local attitude of non-GMO, gluten free and vegan products. Fred Meyer, Safeway, Costco, WinCo are just a few that stock up on local products. 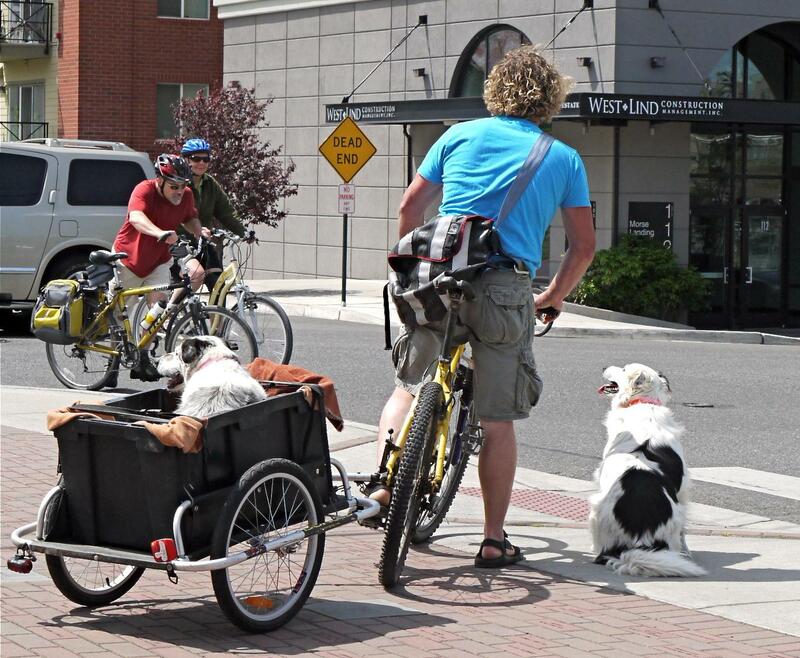 Locals are cognizant of their carbon footprint and increasingly walk, bike and bus to work rather than using cars. 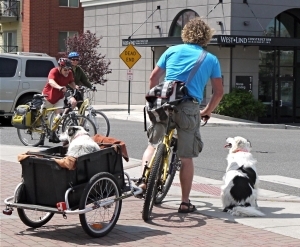 According to the Bellingham Herald, “Bellingham already has one of the highest bicycling and walking rates in the entire state,” according to Peter Lagerwey, the Regional Office Director for Toole Design Group in Seattle. Residents of Bellingham are stewards of the environment. They voted in favor of a plastic bag ban in Bellingham, thereby reducing litter and unnecessary waste, protecting water and wildlife, and saving money by reducing the use of plastic bags in our community. It is second-nature for shoppers come prepared with shopping totes and reusable bags. 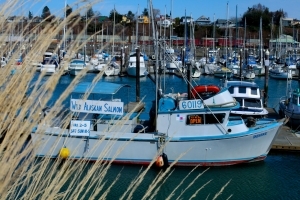 For years, Bellingham has been listed as one of the “Top 25 Places to Retire.” Due in part to the beauty of the area—snow-covered mountain peaks to the east and north with the sea to the east, mild climate and exceptional air quality, the variety of cultural activities, low crime rates, access to public transportation, and miles of urban trails for walking and biking. Bellingham is also a volunteer-centric community and has opportunities to keep retirees busy and active. There are also employment opportunities for retirees who aren’t quite ready to fully retire and desire a part-time income but still want time to explore and have fun. So whether you come here to raise a family, get an education, find a job, retire, start a business or to enjoy an active, outdoor lifestyle, Bellingham has something to offer everyone. No, it doesn’t rain all the time. However, when it does rain, Bellinghamsters don’t let rain stop them from performing outside activities. We hike, bike, and trike in the rain. And when the sun comes out, it makes the day appear even more beautiful and it is far more appreciated than a sunny day is to someone living in…say Arizona. 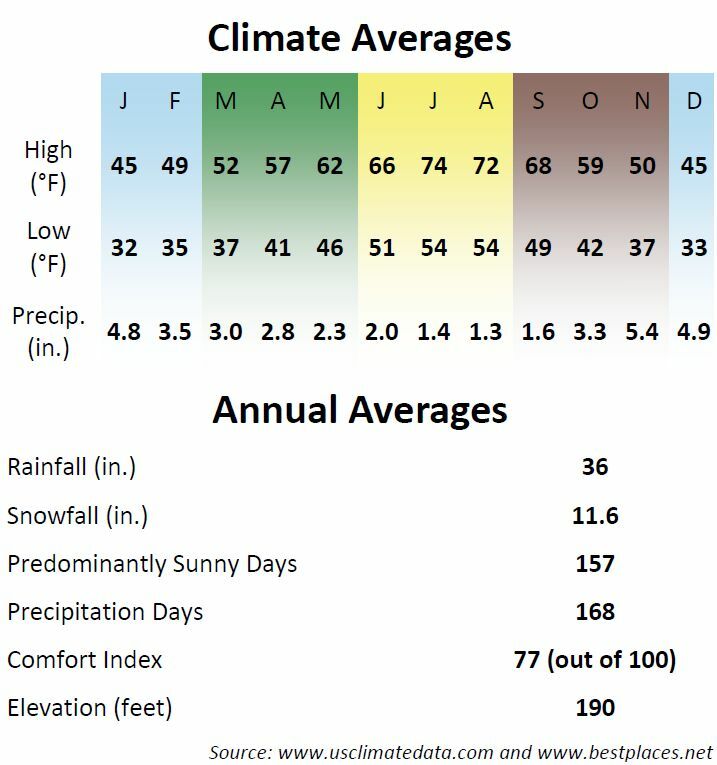 With an average rainfall of 36 inches, Bellingham has less rain than Hershey, PA (40.7″) or Portland, OR (43.5″) but it is enough to keep everything green.